Phill Gillespie's Blog - PhillG.com: Scotland Has Stunning Scenery And Stunning Chillies! Scotland Has Stunning Scenery And Stunning Chillies! 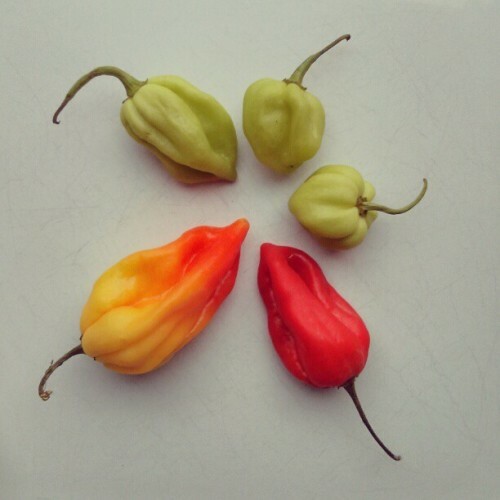 These Scotch Bonnet chillies sure look pretty... And I. sure they will be pretty mind blowing later on! Thanks to Jamie Oliver I get to use them in a variation of his Christmas Jerk Pork!